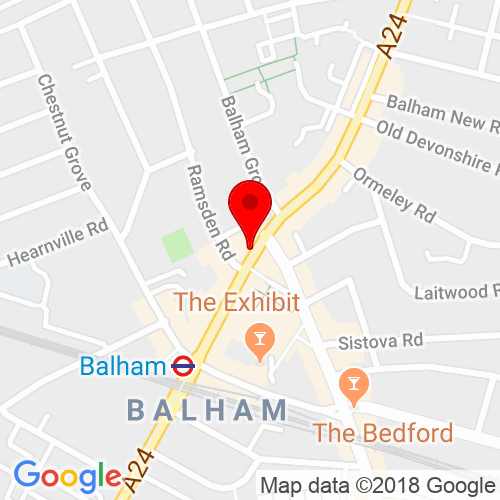 Balham Rail Station is a close walk from the salon. A number of buses are within walking distance from the salon, nearby stops can be found on Hildreth Street or Balham Underground station. Click here to see the current price list for Rush Balham. Rush Balham is a fantastic new salon located on 154 Balham High Road, London, SW12 9BN. Here at Rush, we pride ourselves on our incredible customer services and outstanding results. As well as being experts when it comes to cutting and colouring your hair, our hairdressers are fully trained in some of the more specialist services, such as the Brazilian Blow Dry and Racoon Hair Extensions. Our aim is to make you feel comfortable and relaxed as we can in order to give you the best experience possible. We’ll start off with an indulgent head massage, before you sit back with your favourite read while your hair stylist dedicates their time to making your hair look great. As well as that, we’ll even treat you to a cold beverage in the summer months or a cup of something hot to keep you warm in the winter. We want your time in our salon to be an experience you really enjoy and look forward to. Having great hair doesn’t just make you look amazing but it makes you feel amazing too, and with the help of our professional stylists, you’re guaranteed to feel as glamourous as you look. We’re big believers in looking after the condition of your hair; after all you can’t have style without substance. If your hair is in need of some tender loving care, then Rush is the place to come. 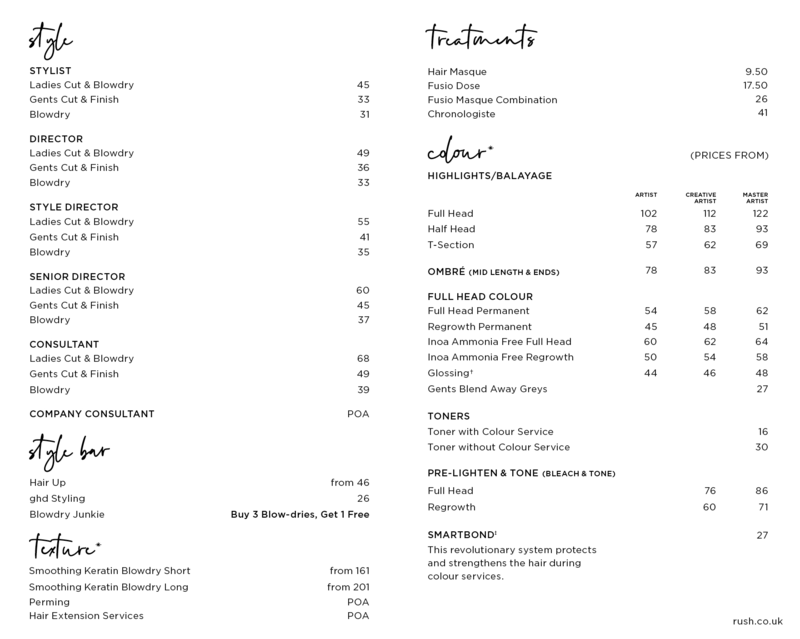 Your hairdresser will be on hand to blend made-to-measure treatments tailored to you; from replenishing lost moisture to repairing damaged ends, our team will help bring your hair back to life. If you want to find out more details about the services we offer please don’t hesitate to ask our front of house team.